Giving Tuesday is one week from today! Heifer International along with hundreds of non-profits are partners to launch a day of giving set for the Tuesday after Black Friday. 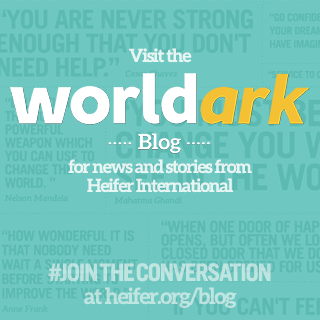 Alternative gifting is nothing new to Heifer International. We've been encouraging gifting to help end hunger as an alternative way to celebrate for years. For some more inspiration to give this year, consider this Heifergraphic on giving. Say you are still buying a few gifts and not sure what you can give on Giving Tuesday? We have an app for that. Okay, it's not a real app, but we do have a nifty calculator for you. 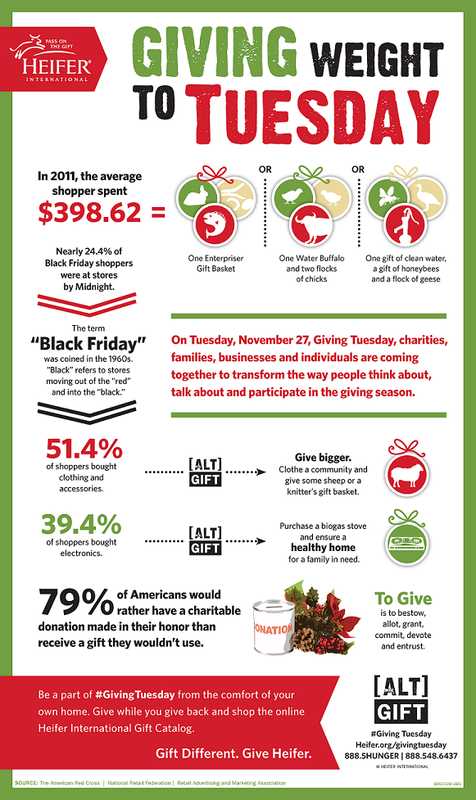 Plug in how much you saved on those Black Friday/Small Business Saturday/Cyber Monday gifts and the calculator will show you suggested gifts from Heifer's catalog. Give to finish your gift list! Give to honor your family and friends! Give to help others in need! Let your family and friends know that you would like to receive an alternative gift this year on Giving Tuesday! 0 Response to "Just One Week to Giving Tuesday"